This is an example of the x-ray storage summary page within the Member Profile Center. From here, a member can enter physician and radiologist contact information and notes and upload x-rays for storage at ECD. 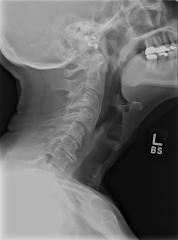 These x-rays are then available for viewing and distributing by email. Marissa Jennings – David Milton, M.D. Moderate disc height loss at C5 and C6 levels with spurring. 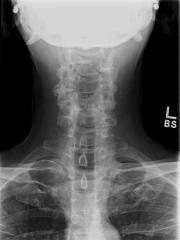 No significant subluxation and no fracture. Mild to moderate facet hypertrophy. No fracture. Impression: Degenerative disc disease as described.